As an accountant, your day-to-day is filled with complexity – from examining financial records, filing taxes and auditing clients’ operations. Running your business’s HR operations shouldn’t be complex. 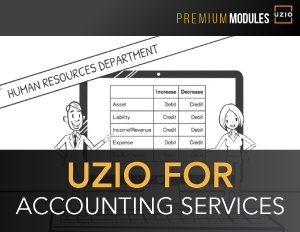 With UZIO’s premium modules, you’ll have access to easy onboarding to help bring top talent onboard. Keeping up with the ever-changing regulations regarding taxes, documentation and CPE compliance is no easy task. UZIO understand this challenge, and we have a compliance module that can help your company keep track of it all.